PDP to Tanko: Quit the Bench now! The Peoples Democratic Party (PDP) notes the illegal swearing in of members of the election petitions tribunal judges by Justice Mohammed Tanko and surmised that his action was a complete nullity. The PDP insists that in the face of our law, Justice Tanko cannot function as a Chief Justice of Nigeria (CJN), as there is no vacancy in that office since the 1999 Constitution (as amended) has no provision for two Chief Justices of Nigeria at any particular time. Justice Walter Onnoghen is still in charge as the Chief Justice of Nigeria. The PDP therefore charges Justice Tanko to note that he is allowing himself to be used by despotic forces in their bid to truncate our hard-earned democracy. 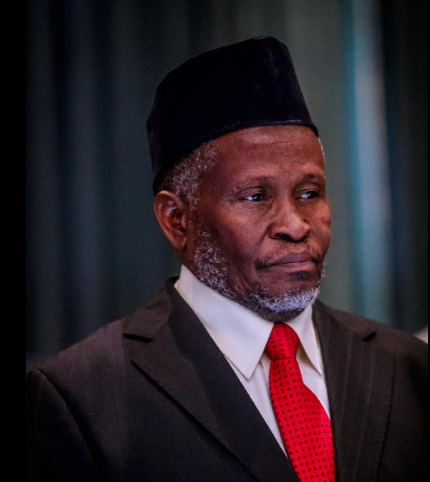 It is also imperative for Justice Tanko to agree that, having allowed himself to be used to desecrate the hallowed temple of justice, his oath of office and oath of allegiance, the only option left for him is to quit the bench. The PDP reminds Justice Tanko of his membership of the panel set up by the National Judicial Council (NJC), which on March 14, 2018, forced Justice Obisike Orji to quit the bench and go on a compulsory retirement, for allowing himself to be sworn in as the Acting Chief Judge of Abia State without the statutory recommendation of the NJC. From Justice Tanko’s first illegal assignment, which is the swearing-in of election tribunal Justices for the forthcoming elections, Nigerians can now see the raison d’etre for his illegal appointment. This action is in itself a nullity and we caution the said justices to be reminded of the popular maxim that something cannot be built on nothing. Nigerians can recall that the PDP had always alerted that President Buhari is bent on removing Justice Onnoghen so as to replace him with a pliable CJN that would help him uphold his rigging plots and achieve his self-succession bid, having realized that he cannot win in any free and fair electoral contest. The PDP invites the world to note that when Nigerians were in the trenches for this democracy, General Muhammadu Buhari, as he was then known, was in cahoots with the last dictator against the will the people. It is therefore not strange that today, President Buhari, once again, wants to subdue our democracy and subvert the rule of law. However, the PDP wants President Buhari to know that Nigerians, irrespective of tribe, creed or political leaning, will never allow anybody, no matter how highly placed, to push our nation to the abyss of anarchy.